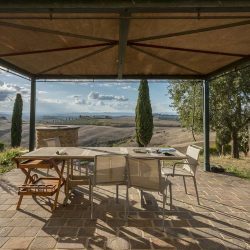 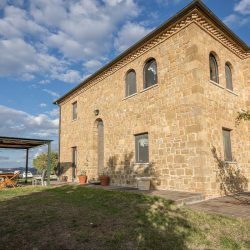 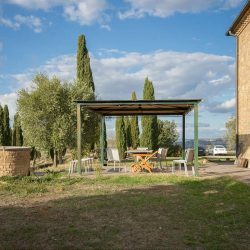 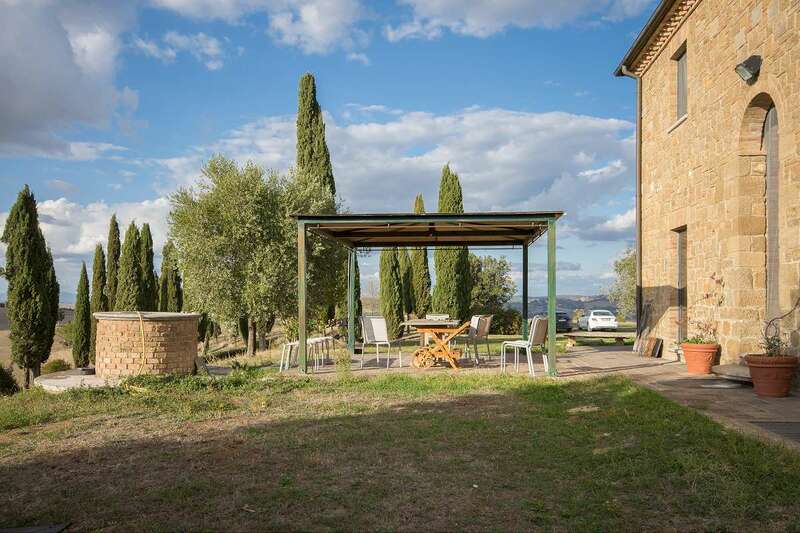 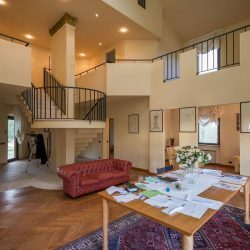 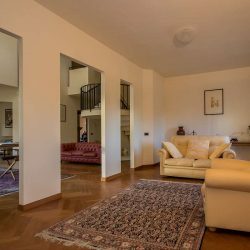 With beautiful views of the Crete Senesi, impressive restored farmhouse and annex with a pool and 7 hectares with 1,000 olive trees. 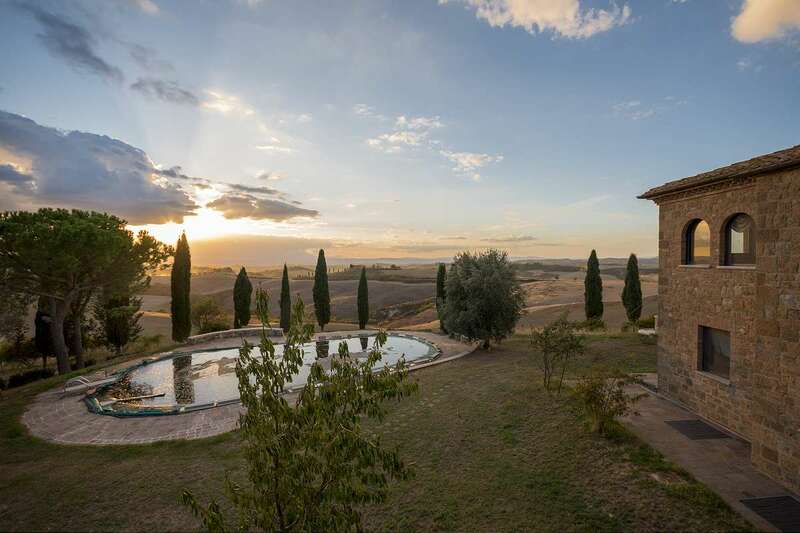 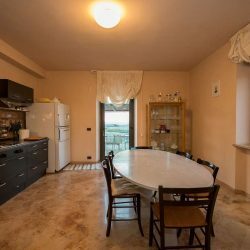 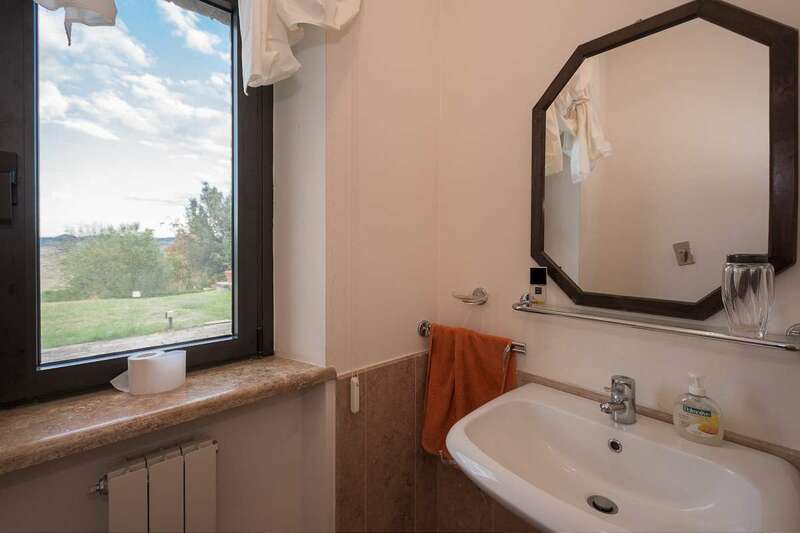 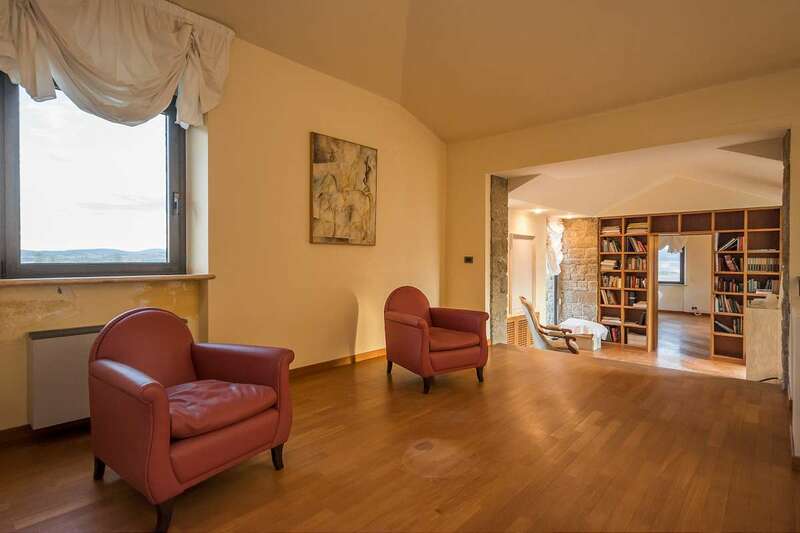 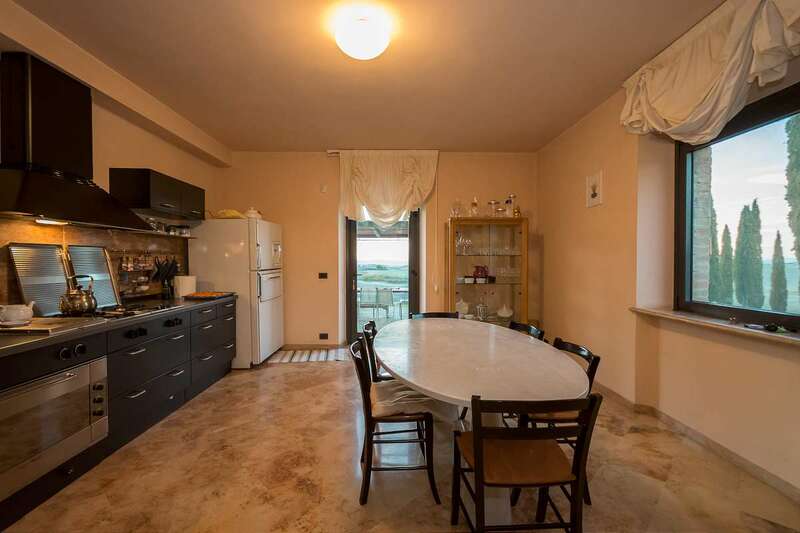 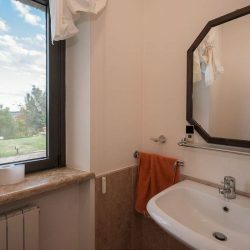 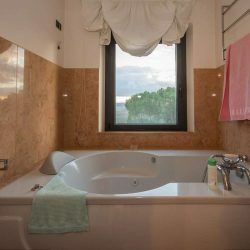 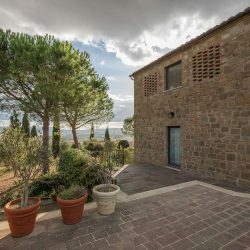 Crete Senesi Property. 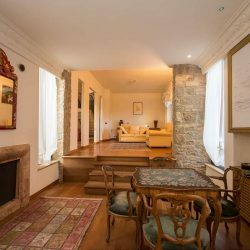 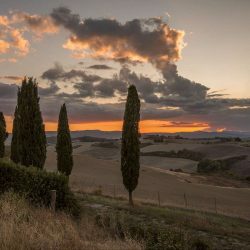 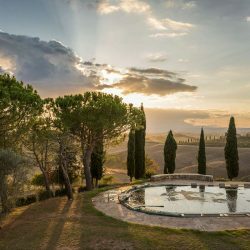 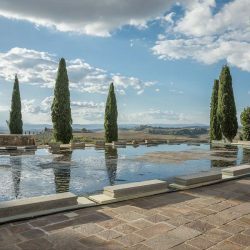 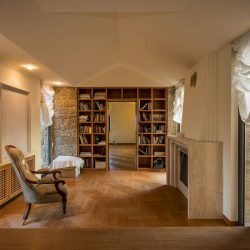 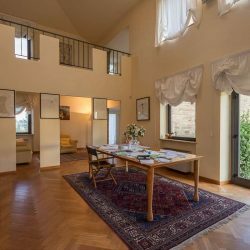 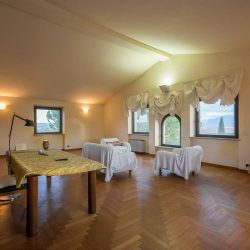 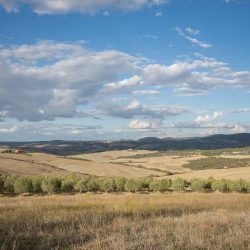 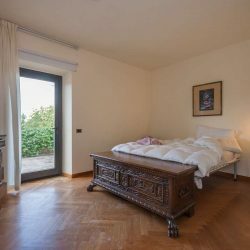 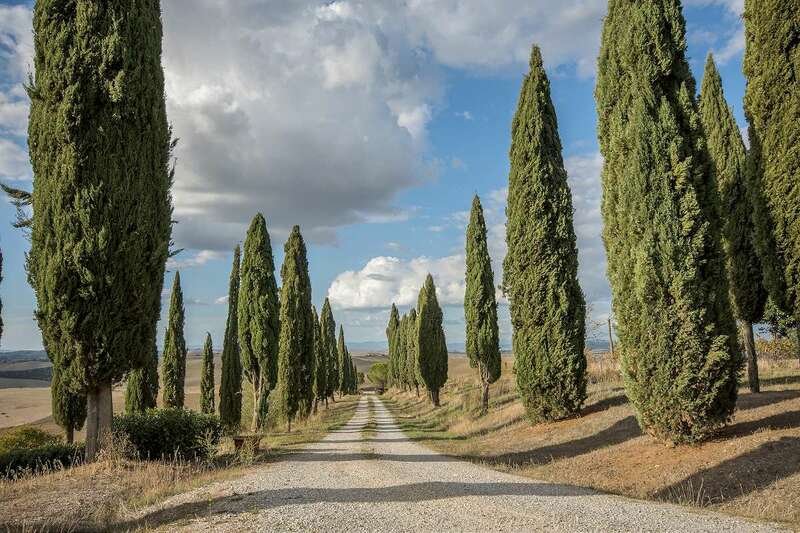 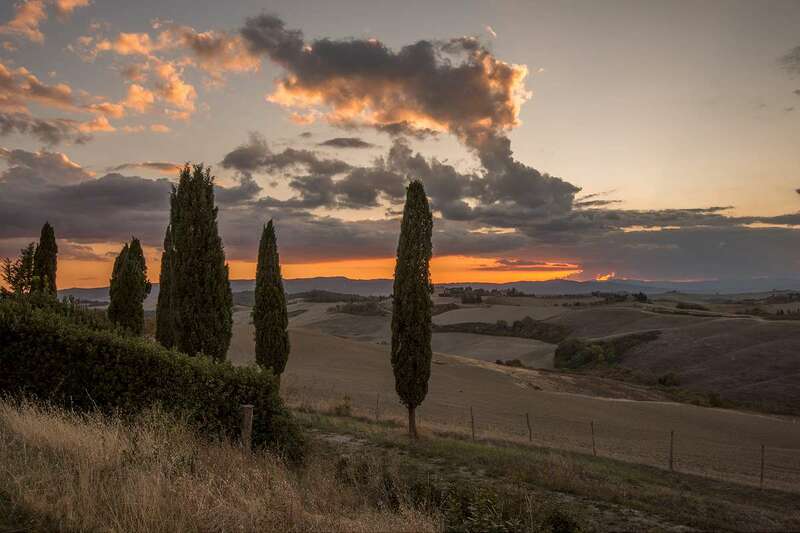 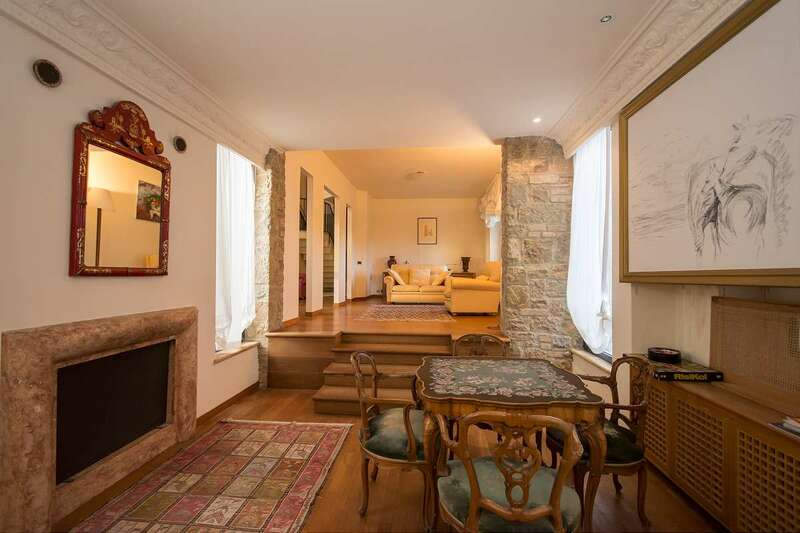 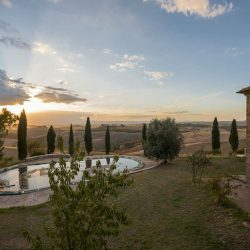 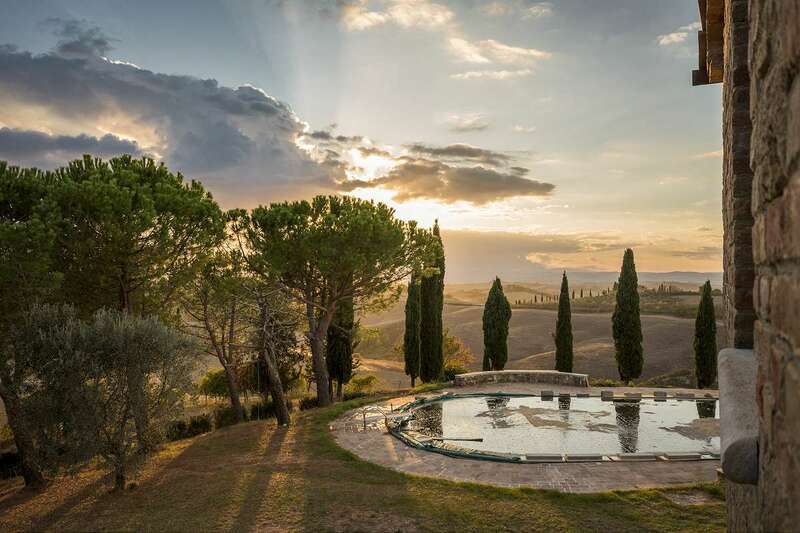 A characteristic cypress lined avenue leads to this beautiful 13th century property, nestled in the heart of the Crete Senesi and surrounded by greenery, a few kilometres from Pienza. 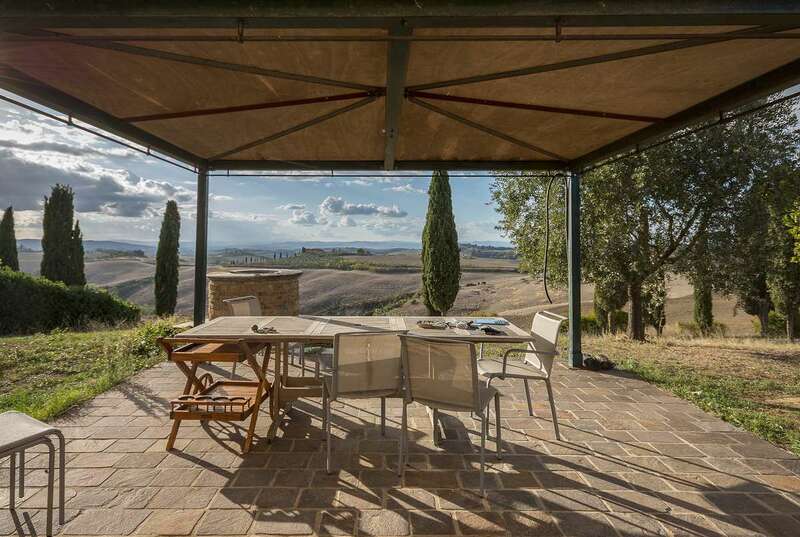 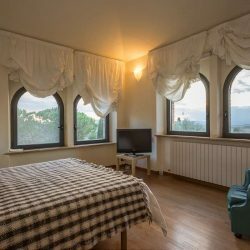 In a dominant position, it boasts wonderful panoramic views of the valley. 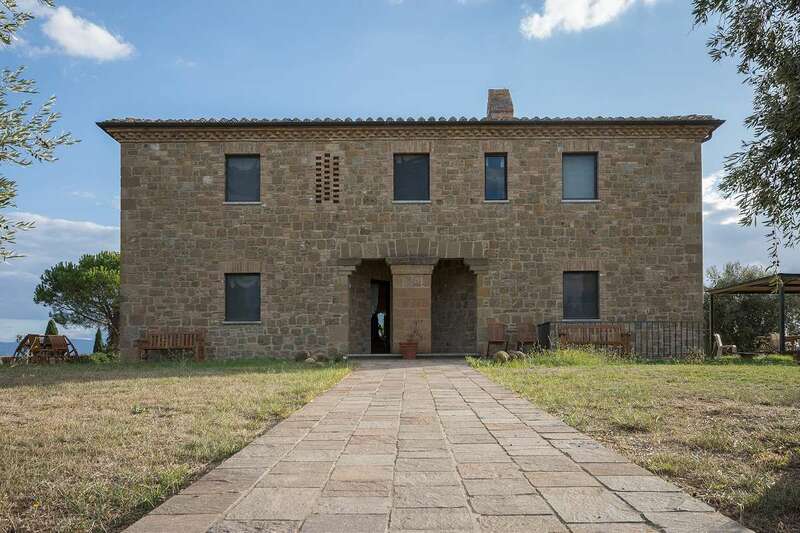 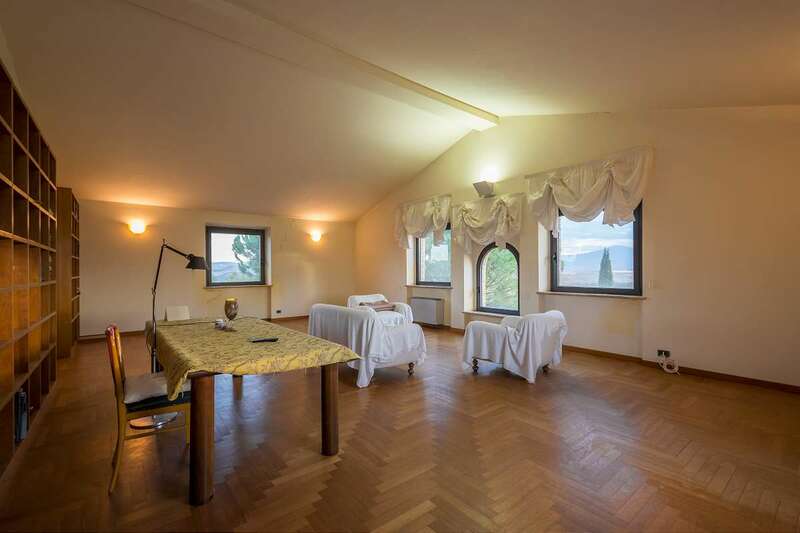 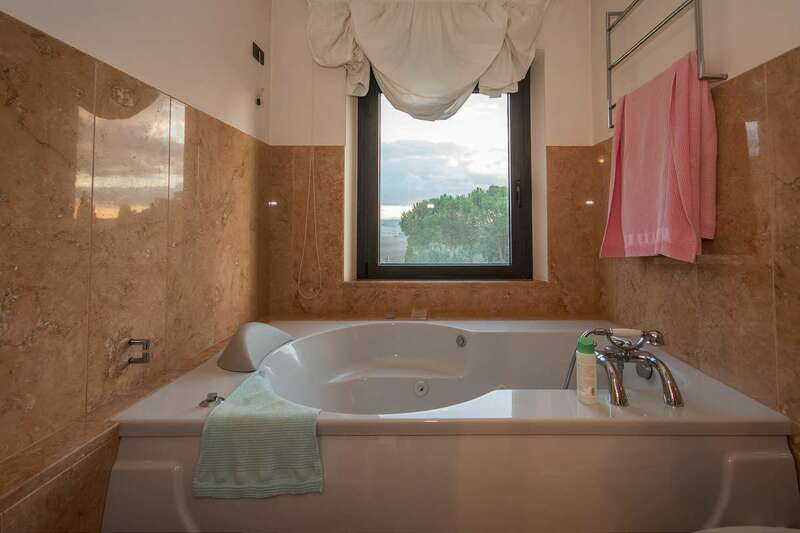 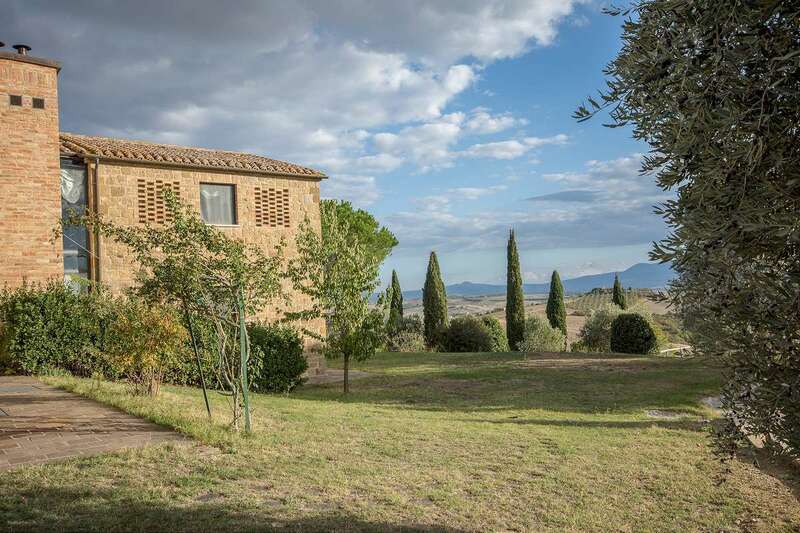 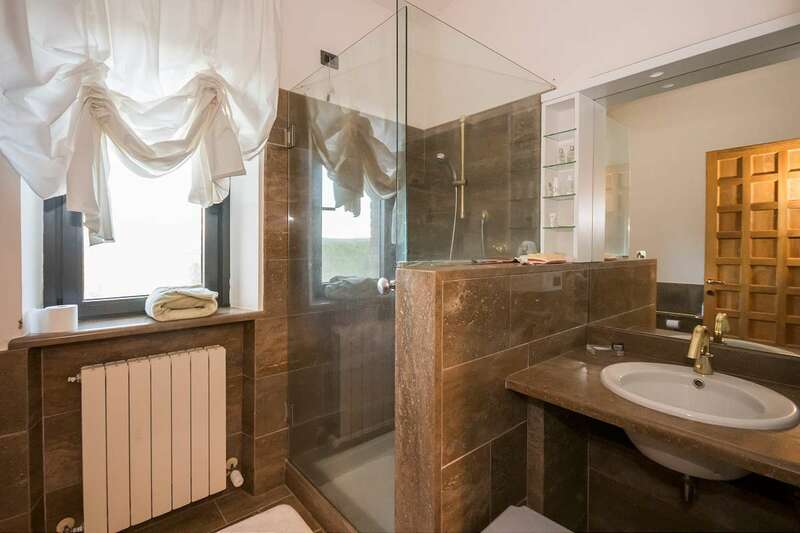 The property comprises an impressive 2 storey farmhouse of 480 sqm and a 2 storey annex of 440 sqm. 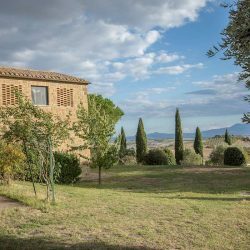 The house is surrounded by a beautiful garden with a pool and approx 7 hectares of land with 1,000 olive trees in production. 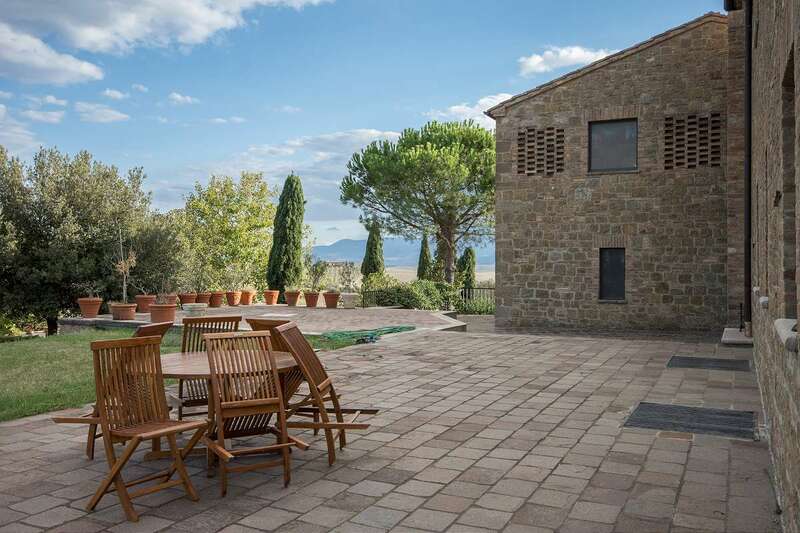 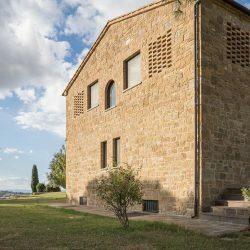 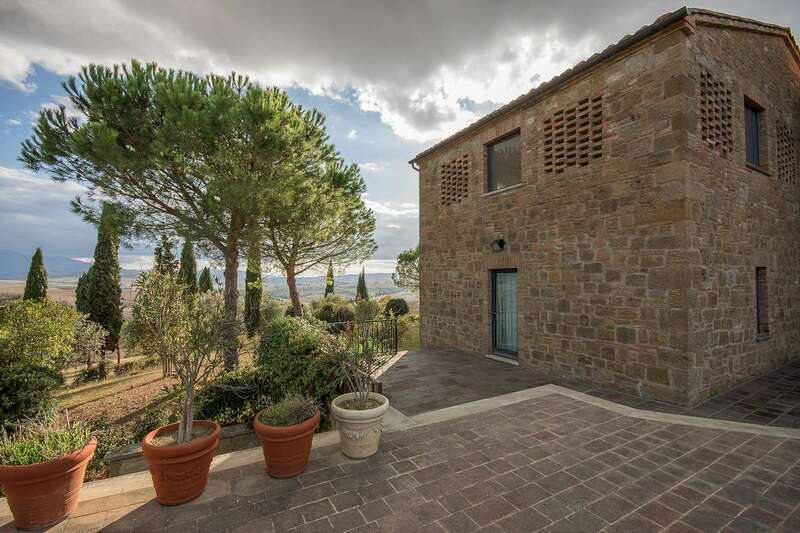 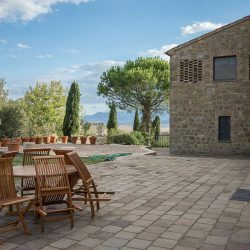 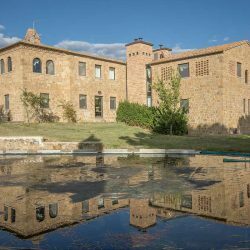 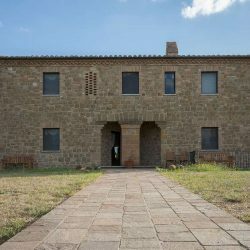 Externally, with its stone facades, the character of the Tuscan farmhouse has remained unchanged. 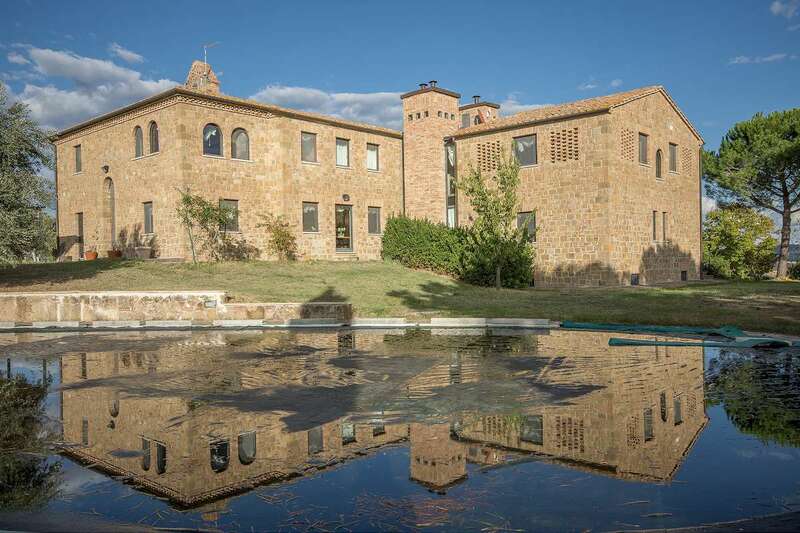 Internally, the property was carefully restored in 1996 to create a unique modern style. 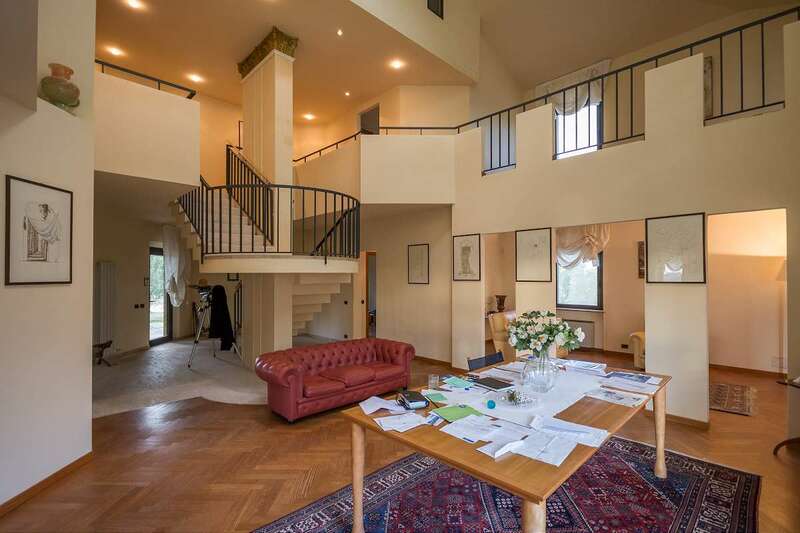 It features a large central room overlooking the first floor. 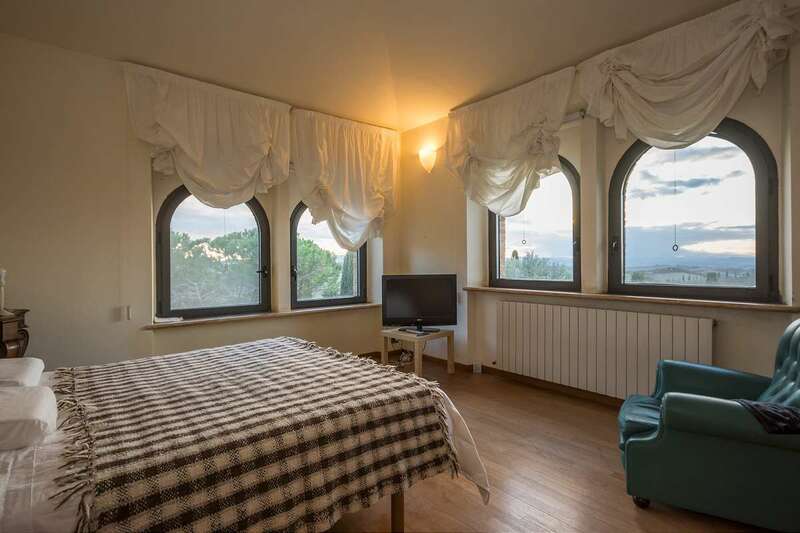 Its numerous rooms are all bright and airy with large windows. 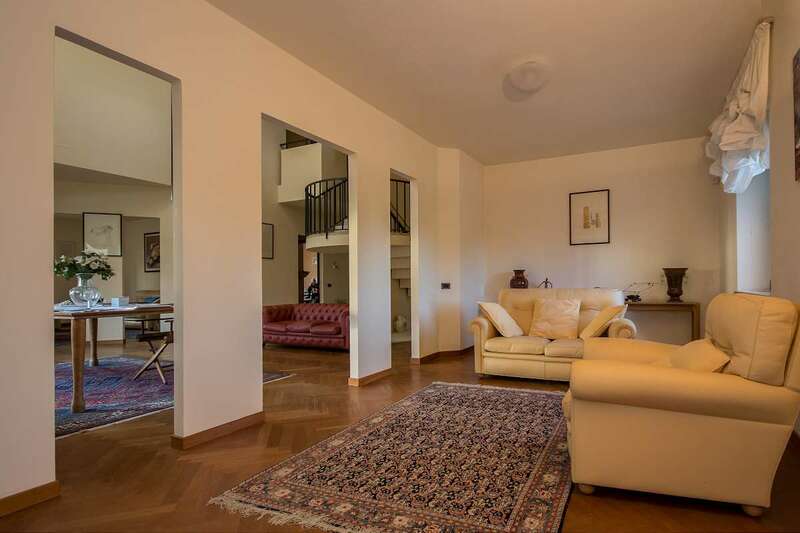 There are living rooms on both floors and a large eat-in kitchen on the ground floor. 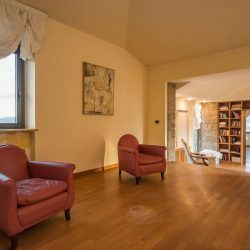 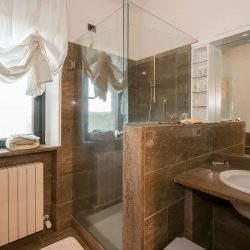 Quality materials such as wooden floors, marble, travertine and armored fixtures have been used throughout. 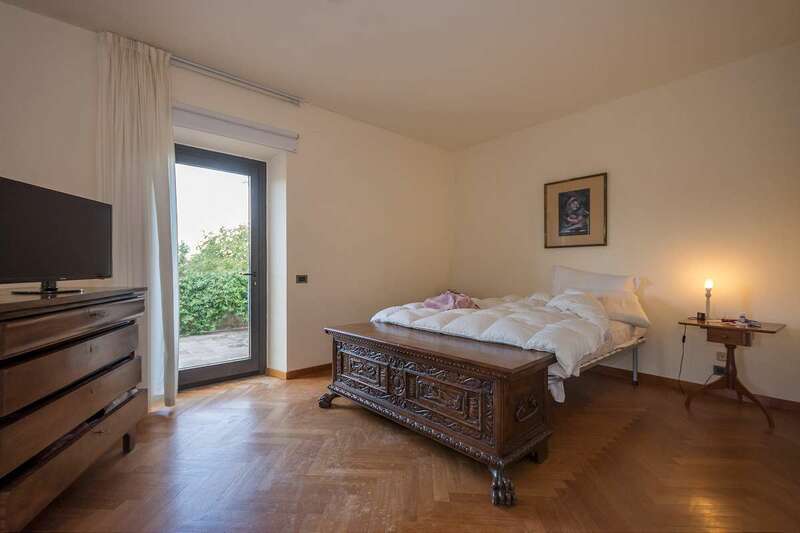 There is air conditioning and an alarm. 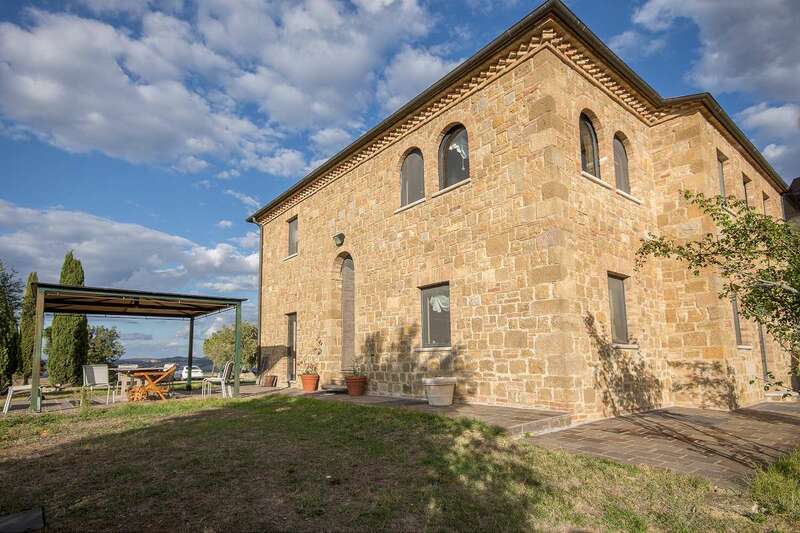 480 sqm on 2 storeys. 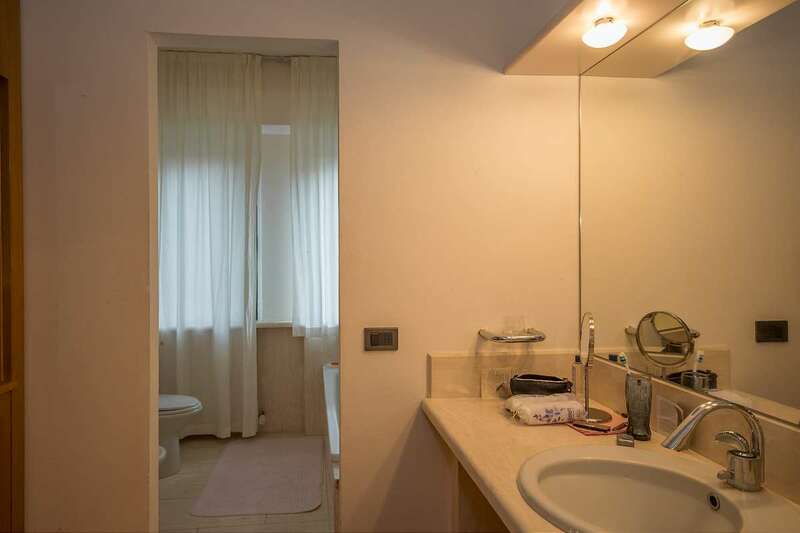 Ground floor: Entrance, living room, kitchen, study, bathroom, 2 bedrooms with bathroom. 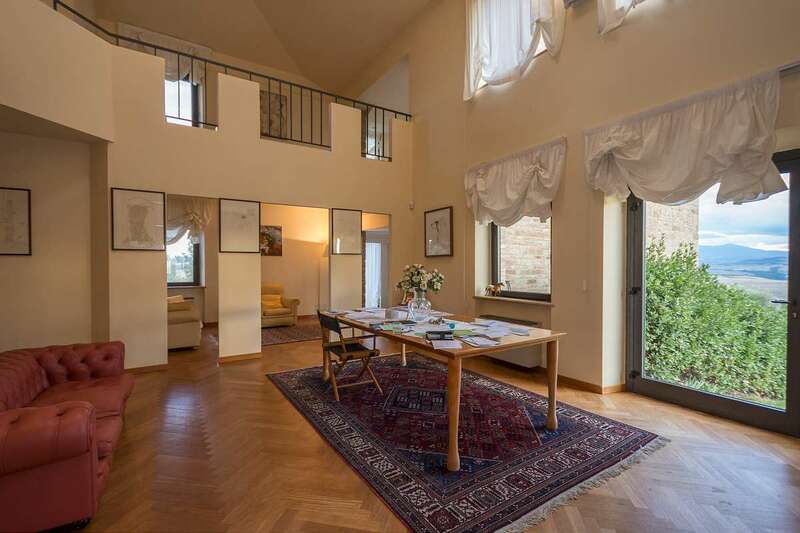 First floor: Gallery, 4 bedrooms, 3 bathrooms, study / bedroom. 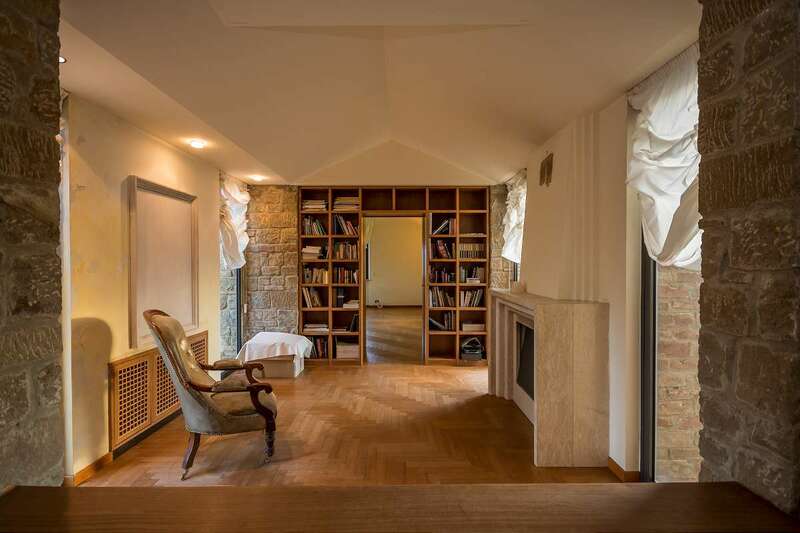 Basement: Lumber room, pantry, technical room, warehouse, bathroom. 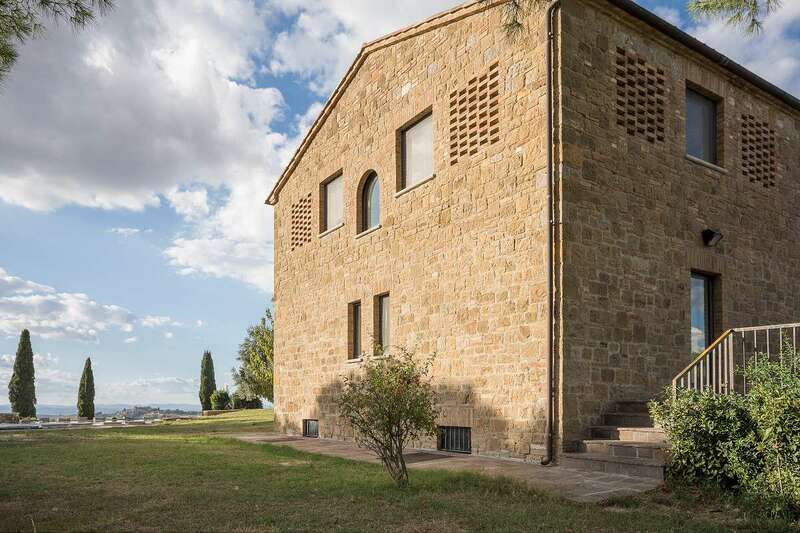 440 sqm on 2 storeys, attached to the house. 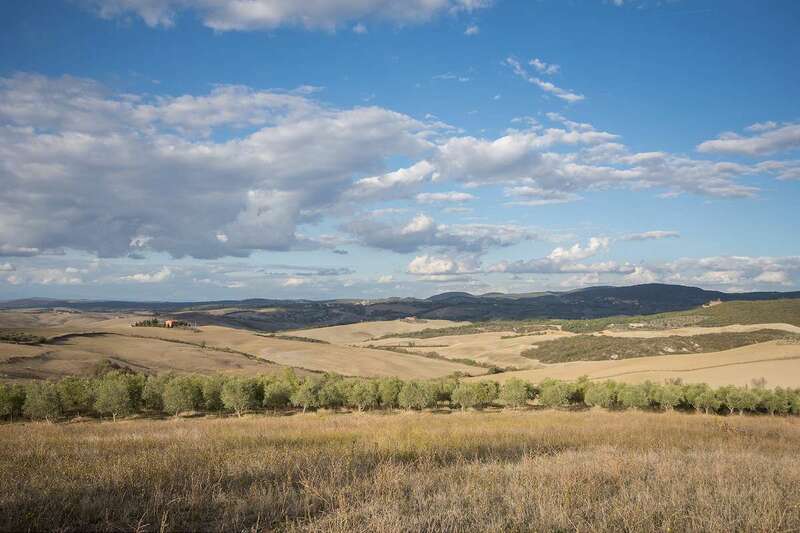 About 7 hectares (17.2 acres) with 1,000 olive trees in production. 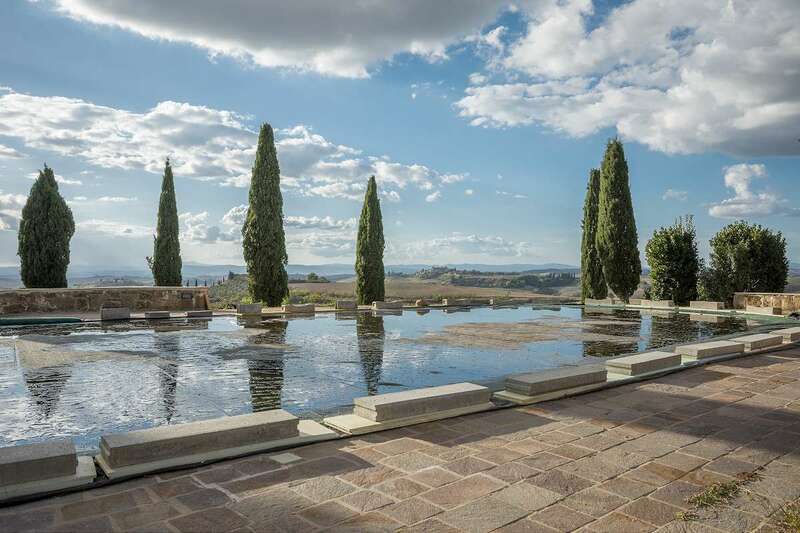 Swimming pool with chlorine system. 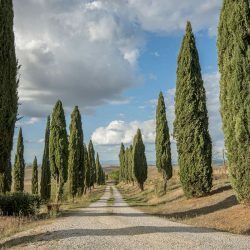 Main airports: Perugia 95 km, Pisa 165 km, Rome 200 km, Bologna 230 km. 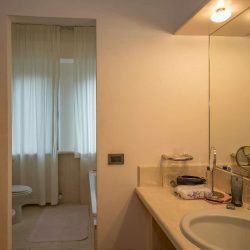 Fixed telephone line, Wifi, LPG heating, mains water, electricity, air conditioning, alarm system, 2 electric gates.